HOLLYWOOD, Calif., March 18 /PRNewswire/ - Ringo Starr announces the addition of several cities to his North American 'Ringo Starr & His All Starrs' tour, as well as on sale dates for the majority of the shows. This summer's outing, Starr's 10th All Starr-studded tour, will include returning All Starrs (in alphabetical order): Colin Hay, Billy Squier, Hamish Stuart, and Edgar Winter, and first timers Gary Wright and Gregg Bissonette. The All Starr tour will bring its newest chart-topping lineup to more than 25 cities in the U.S. and Canada, including New York, Boston, Chicago and Los Angeles. No other single stage produces the hits like Ringo's All Starrs, each singularly accomplished in their own right. All of the All Starr artists complement Starr's musical style and share his message of peace and love. As Ringo said in a recent interview, "My live shows are a peace-and-love fest. That's my main promotion, really." 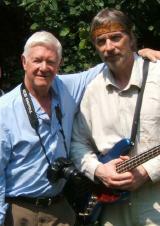 Starr's latest album, Liverpool 8, was released on CD, digitally and on USB wristband on January 15 by Capitol/EMI. His most personal release in years, Liverpool 8's songs are a reflective journey through Ringo's storied life and career and feature some of his greatest songwriting to date. Co-produced and co-written with Dave Stewart, Liverpool 8's resounding message of peace and love will continue to resonate with All Starr audiences across the country when Ringo hits the road this summer for his first tour since 2006. Since 1989, Ringo Starr's All Starr tours have rocked sold out venues with great musicians who share Starr's love of performing. All of the All Starrs lend their most popular songs to Ringo's already impressive hit list which includes such classics as "With a Little Help From My Friends," "Yellow Submarine," "Photograph" and "It Don't Come Easy." The tour's U.S. and Canadian dates, booked by Dave Hart at ICM, begin on June 19 at Fallsview Casino in Niagara Falls, Ontario. The tour includes a show at New York's Radio City Music Hall on June 24, and will conclude on August 2 at Los Angeles' Greek Theatre. 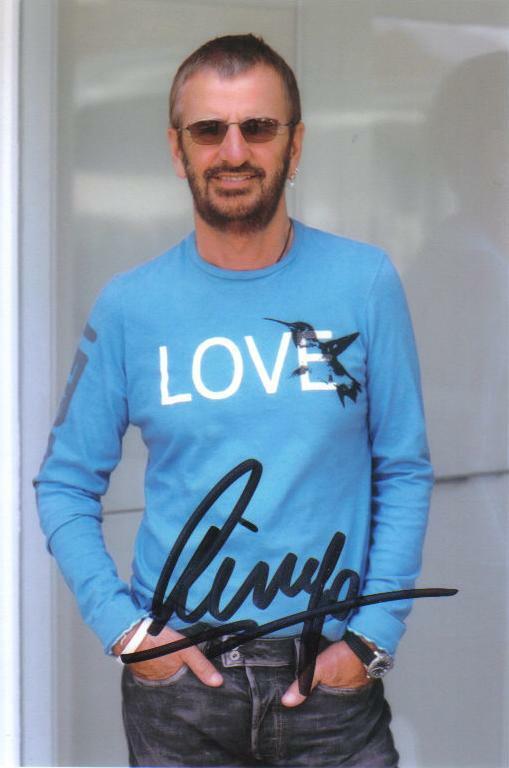 For more information, please visit Ringo Starr's official Website: http://www.ringostarr.com. 'Idol' Ratings Get Lennon-McCartney Boost. I (Tony) watched the subsequent week's show (18 March), also Beatles songs, from Risalpur, Pakistan, and quite enjoyed it. "...Imagine a totally unique hotel experience.  A white piano against a white backdrop. Artwork that appears with a simple change of lighting. 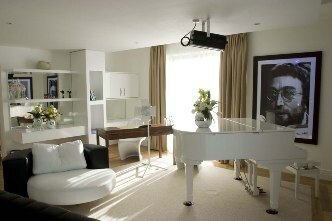 Superb design features and furnishings, in keeping with the theme, that immediately identify this suite as yet another iconic feature of the hotel and offer those lucky enough to stay in the Lennon Suite an unforgettable experience...."
The Beatles’ LOVE won two Grammys® in the categories of Best Compilation Soundtrack Album for Motion Picture, Television or other Visual Medium and Best Surround Sound Album. Ringo Starr joined LOVE’s producers, Sir George Martin, The Beatles’ legendary producer, and his son, music producer Giles Martin, to accept the award for Best Compilation Soundtrack during the live telecast from Los Angeles. Cast members from The Beatles LOVE by Cirque du Soleil at The Mirage in Las Vegas paid tribute to the Beatles with a special live performance to A Day in the Life and in the Grammy finale with Sgt. Pepper’s Lonely Hearts Club Band (Reprise), both from the LOVE album. Ken hung out with them, and headed up Apple USA. Now he evangelizes with their subliminal help. went off to Polaris two days ago (next item). Oscar-nominated animated film, by Josh Raskin. Replay the Beatles at Theatre Corona, Montreal One of the worlds finest Beatles tribute bands. Israel asks the Beatles to "Let it be"
surviving members of the band to play at the nation's 60th-birthday bash. "Starr remains a reservoir of fetching sentiment. Liverpool 8 brims with bright pop tunes that tirelessly extol the virtues of peace and love. It’s like a warm blanket, a temporary respite from reality’s cold touch," writes pop reporter Barry Lenser for PopMatters.com in his review of Liverpool 8. Click here to read the full report from Lenser. Liverpool 8 release dates: USA, 15 January, 2008. UK, 14 January, 2008. In Ottawa, Help! was shown at Silver City, Gloucester on 26 November. One showing only at 7 pm. $9.95. Hollywood, California – November 6, 2007 – For the next 10 days, eyes raised to the skies above Los Angeles’ famous crossing of Hollywood & Vine will see something new and unusual: a giant, one-of-a-kind Beatles flag flying high atop the landmark Capitol Records tower. The unique, 12-foot by 18-foot flag was raised by Ringo Starr at 12pm PDT today. The world’s only official Beatles flag will remain raised above Capitol Records until next Friday, November 16 to celebrate today’s release by Apple Corps Ltd./EMI of The Beatles’ classic 1965 film ‘Help!’ on DVD, digitally restored with a newly created 5.1 soundtrack. A charitable auction, benefiting The Nordoff-Robbins Music Therapy Foundation, launches on eBay today at 3pm PST. 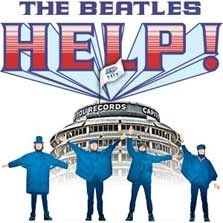 The auction lot includes the ‘Help!’ flag, bearing the classic artwork of The Beatles’ 1965 movie, a luxurious trip for two to London, England and a deluxe, limited edition ‘Help!’ DVD boxed set. Beatles fans around the world can place bids now until 3pm PST on November 16, 2007, when the listing ends. All bidders will be pre-qualified through Kompolt Online Auction Agency (www.kompolt.com). In addition to becoming the proud owner of the unique flag, accompanied by a Certificate of Authenticity personally signed by Ringo Starr, and a limited edition ‘Help!’ boxed set, the charity auction’s top bidder and a guest will enjoy a special VIP tour of world-famous Abbey Road Studios while on holiday in London. Visit www.ebay.com/thebeatles for more information or to place a bid. All proceeds from the charity auction will directly benefit The Nordoff-Robbins Music Therapy Foundation. 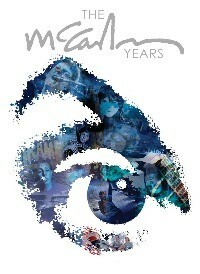 For more information, visit http://steinhardt.nyu.edu/music/nordoff/. Paul McCartney's oratorio, Ecce Cor Meum was performed Friday Nov 2 at Metropolitan United Church in London, Saturday Nov. 3 at Yorkminister Park Baptist Church in Toronto, and Sunday Nov. 4 at Lake Street Armoury in St. Catharines. These were the 4th - 6th live performances in the world of his fourth classical-style work. Part of the recording was played on Nov 3 on CBC R2, which I heard. Later in the day I bought the disc, and I can't stop playing it. This is gorgeous music; he continues to develop his own style that really sits well with me, at least - TC. Sir Paul McCartney bound onto the stage at the BBC's second "Electric proms" last night and was all bounce, wave, howl and banter. "Do you think he'll do any Beatles stuff? ", the man in front of me asked his friend over the roar of welcome from the Camden crowd. We have only seconds to wait for an answer: McCartney burst into a technicolour blast of Magical mystery tour, beckoning the jubilant audience to enjoy the ride as he took us through some of the high points of his 40 year career in rock'n'roll. To read the full report from the Telegraph.co.uk, click here. LONDON (AP) — Pattie Boyd is the A-list musicians' muse. A convent schoolgirl turned swinging London fashion model, Boyd was married to Beatle George Harrison, then to guitar god Eric Clapton — and the relationships live on in song. For Boyd, Harrison wrote "Something," one of the Fab Four's most-covered tunes. Clapton's passion for his friend's wife inspired the scorching "Layla." Later, when Boyd had left Harrison and married Clapton, he serenaded her with "Wonderful Tonight." To read the complete article with recent photographs of Pattie Boyd, please click: Pattie Boyd Recalls Life With Rock Stars. Also on this date: "Yoko imagines peace on Lennon's birthday" as written by Ritchie Yorke, former pop reporter for the Globe and Mail who wrote extensively on John and Yoko's peace campaign back in 1969. Yorke attended the opening ceremony of the Imagine Peace Tower by request of Yoko Ono and his report is enthusiastically well-written. NEW YORK, Oct. 11 /PRNewswire/ -- Students and teachers around the country who participate in Trick-or-Treat for UNICEF, The Original Kids Helping Kids(R) campaign, have a new reason to get excited about Halloween. This year The George Harrison Fund for UNICEF has teamed up with the U.S. Fund for UNICEF to match, dollar-for-dollar, the money raised by schools through this 57-year-old tradition. In keeping with UNICEF's core mission, which recognizes education as a key component to child survival, proceeds from the matching grant will be used to support UNICEF's Schools for Africa program. This program provides communities with a sustainable solution for education, with a special focus on girls, orphans and vulnerable children, such as those who have been impacted as a result of HIV/AIDS. "We are delighted and honored that The George Harrison Fund for UNICEF continues their commitment to the world's children by so generously participating in Trick-or-Treat for UNICEF," said Caryl M. Stern, president and CEO of the U.S. Fund for UNICEF. "UNICEF's Schools for Africa program aims to accelerate access to quality basic education for children in Africa- with this matching grant we will move one step closer to making this a reality." More than 35 years ago, George Harrison, the legendary musician and humanitarian, set a precedent that music could be used to serve a higher cause. In 1971, using his fame and the power of music, Harrison organized the historic concert for Bangladesh. At the time, the country was ravaged by floods, famine and a civil war, leaving 10 million people homeless. 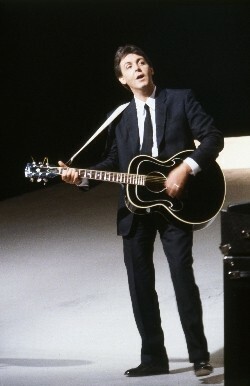 The ground-breaking concert, along with sales from the film and the album, provided an extraordinary $15 million for UNICEF's emergency efforts on behalf of children and families, focusing global attention on the crisis and raising the consciousness of millions of the world's citizens, musicians and music fans to UNICEF's unique, life-saving programs. Today, The George Harrison Fund for UNICEF keeps alive it's tradition of saving children's lives with this extraordinary opportunity by matching dollar-for-dollar what schools raise for Trick-or-Treat for UNICEF. Participating classrooms around the country will receive dynamic, colorful information packets that include: details on the matching grant program, a world map, information on the three countries (Mozambique, Angola and Rwanda) identified as having the greatest need for the Schools for Africa program, and a DVD with an appeal from Dhani Harrison, a musician in his own right and son of the late George Harrison, on ways teachers may complement their Trick-or- Treat for UNICEF fundraising efforts. In order to have their gifts matched dollar-for-dollar, classrooms are advised to write "GHFU Match" on their check, money order or Coinstar(R) receipt and submit their collections by the December 31, 2007 deadline. Free Trick-or-Treat for UNICEF boxes are available at all Hallmark Gold Crown(R) stores and all Pier 1 Imports(R) stores. Trick-or-Treat for UNICEF, a Halloween tradition beloved by generations, is one of America's longest-running youth volunteer activities. Every year children across the country participate with their families, schools and communities to raise millions of dollars for UNICEF. Trick-or-Treat for UNICEF supporters have collected more than $136 million since 1950, including more than $4.5 million in 2006. The George Harrison Fund for UNICEF is a joint undertaking between the Harrison family and the U.S. Fund for UNICEF that aims to support UNICEF programs, providing lifesaving assistance to children caught in humanitarian emergencies. Every year, UNICEF identifies countries and territories suffering from the results of civil conflict, natural disaster and poverty- countries where children are vulnerable to malnutrition, disease, exploitation and abuse. As with Bangladesh in the 1970's, many of these emergencies are still virtually ignored by the media and critically under funded. In the tradition established by George Harrison and Ravi Shankar, The George Harrison Fund for UNICEF continues to support UNICEF programs in Bangladesh while expanding its influence to include other countries in crisis where children are at risk. For more information about The George Harrison Fund for UNICEF please visit: www.georgeharrisonfundforunicef.org. For more than 60 years, UNICEF has been the world's leading international children's organization, working in over 150 countries to address the ongoing issues that affect why kids are dying. UNICEF provides lifesaving nutrition, clean water, education, protection and emergency response saving more young lives than any other humanitarian organization in the world. While millions of children die every year of preventable causes like dehydration, upper respiratory infections and measles, UNICEF, with the support of partnering organizations and donors alike, has the global experience, resources and reach to give children the best hope of survival. For more information about UNICEF, please visit: www.unicefusa.org. A smattering of bright colors come together to bring John Lennon's image forward, causing visitors to reflect upon a time devoid of freedom. Seemingly world away from the Gothic St. Vitus Cathedral and Prague Castle stands the Lennon Wall, a sketch pad memorial to the late ex-Beatle. In reality, it's just a few minutes walk away. The memorial lies at the Mala Strana (Lesser Town) end of the Charles Bridge, attracting as many tourists as the Bridge itself. For some, the Lennon-inspired graffiti has become just as significant a curiousity as the Baroque statues of patron saints. Lennon once made the controversial statement that the Beatles were more popular than Jesus, and in this context, he was not that far off. John Lennon's long-running turn as as Beatle, his solo career, his anti-war politics, have all made a lasting impression on popular culture. Young Americans today have a picture of the shaggy haired musician as a Sgt. Pepper, stoned, genius, and heralding messages of peace and unity. His politics were controversial to some in the 1970s, although now his positions appear mainstream. His non-conformist spirit permeated the globe. The masses were begging, "give peace a chance." The youth of communist-occupied Czechoslovakia felt deeply connected to the anti-establishment Lennon and his words became a powerful inspiration for opposition against the regime. After he was murdered on December 8, 1980, young Czechs, unable to publicly mourn his death for fear of persecution, began gathering on Malteske Namesti in Mala Strana where they could quietly reflect on this loss. Every year on that same date, guitars and spray-paint in hand, people gathered to graffitti Beatles lyrics and messages of peace and free speech on the tomb-shaped wall of the Square. 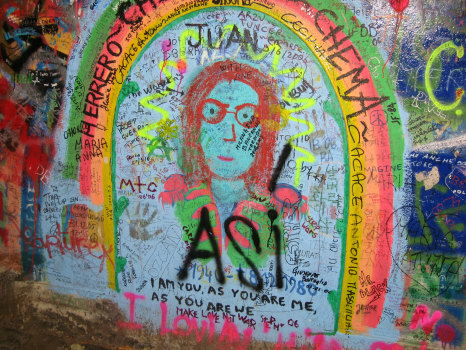 The wall itself morphed into not only a memorial to the late Lennon, but a place of protest against the oppressive government. Year after year the Communist police whitewashed the messages, but they couldn't silence the masses. Fans would risk prison to sneak into the square and tag the freshly painted slab. It was not until December 1989, just a few months after the Velvet Revolution, that people could finally gather without repressive forces. With the fall of communism, the layers of paint grew thicker, and the wall has written itself into every Prague guide-book across the globe. "Right now, it doesn't mean that much for us anymore, which is a good thing," said Veronika Bednarova, a jouranlist at Reflex magazine, "It used to be a place where you could feel a little bit of freedom, but we don't need this little island anymore; you can express yourself freely anywhere." Proposals have been made to reconstruct the wall, paint it white and have an artist re-interpret its original essense. Erasing the paint, however, would not erase its history. John Lennon never surrendered his beliefs; even his most controversial statements have been left un-retracted. He famously declared, "Christianity will go. It will vanish and shrink.... I don't know what will go first, rock 'n' roll or Christianity." Once, when asked if Ringo Starr was the best drummer in the world, he replied snidely, "He's not even the best drummer in the Beatles." Lennon knew how to get people talking, and he continues to stir people's thoughts and passions. The wall that bears his name stands similarly, shunning oppression and praising free speech. Layers of shallow remarks from passing tourists might jumble the wall's physical message, but the memory of Lennon and all that fought against against Communism will remain forever clear. The wall now stands as a monument against ignorance and forgetting. "It has become more important for tourists to maybe see and understand our opression," Bednarova said. "It is also important for us to remember the time when we were not free. I still remember the way we had to live everyday. It was horrific, and it's important for us to remember that." Cristina Cerullo is in her third year at New York University, studying music journalism. She is from Cortlandt Manor, New York. Link to the original article from The Prague Wanderer, click here. REYKJAVIK (Reuters) - Yoko Ono called on the world to imagine living life in peace as she unveiled a tower of light on Tuesday dedicated to the memory of her husband John Lennon on what would have been his 67th birthday. Ono and Beatles drummer Ringo Starr lit up the chill night with the broad shaft of blue light as about 200 people sang along with Lennon's song "Imagine", playing in the background. The "Imagine Peace Tower", a light sculpture created by Ono, will illuminate the sky of the Icelandic capital each year from Lennon's birthday until December 8, the anniversary of his murder in New York in 1980. "I hope that when the light from the tower will shine, the world will pause for a time and imagine peace," Ono told Reuters in an interview before the unveiling. Ono spent the day with family, friends and peace supporters before taking a boat across to the small island in Reykjavik harbour to where the tower is located. She was accompanied by Starr and her son with Lennon, Sean. Ono, who told the crowd the light sculpture was a 40-year-old dream come true, chose Iceland for the memorial because of its beauty and its reliance on natural power. The tower will be powered entirely by geothermal energy, which is plentiful on the volcanic island. "There are many beautiful countries in the world but what makes Iceland unique is the fact that 80 percent of the energy use of Iceland is provided by sustainable energy sources like geothermal energy," Ono told Reuters. "Because of these clean natural energy sources, the water and the air in Iceland are clean, so clean that you can actually feel it," she said. Ono hopes the sculpture will help preserve the memory of her husband and deliver a message of peace to all people. "I cannot promise that I will be here every year for the lighting of the tower but I feel like I am part of Iceland now and I will try to come as often as I can," Ono said. Thank you for adding your love and wisdom to this very special day.? and send your wishes which will go directly to Reykjavik. P.S. Happy Birthday, John! Happy Birthday, Sean! Wellington staged an all-day "bed-in" on Tuesday, mimicking John Lennon and Yoko Ono's famous stunt for world peace nearly 40 years ago. DJ Paul Shelley is using John Lennon's birthday to recreate the bed-in pushing for peace from a bed parked in a shop front in Cuba Street. And while some may say he's a dreamer, but he's not the only one. "We've got environmental crises, we've got climate change, we've got nukes, we've got ongoing human rights abuses in places like Darfur," says Oxfam New Zealand executive director Barry Coates. The bed-in drew a lot of support from people on the street. "People coming past and looking in the window and sticking their head in and going 'what's all this about' and we're telling them," says a fellow bed-in participant. Shelley says their stunt may not make a difference "but that doesn't mean to say that we can't give it a damn good go". "Yoko Ono has arrived in Iceland for the installation of her “peace column” on the island of Videy, near Reykjavík," writes icelandreview.com. 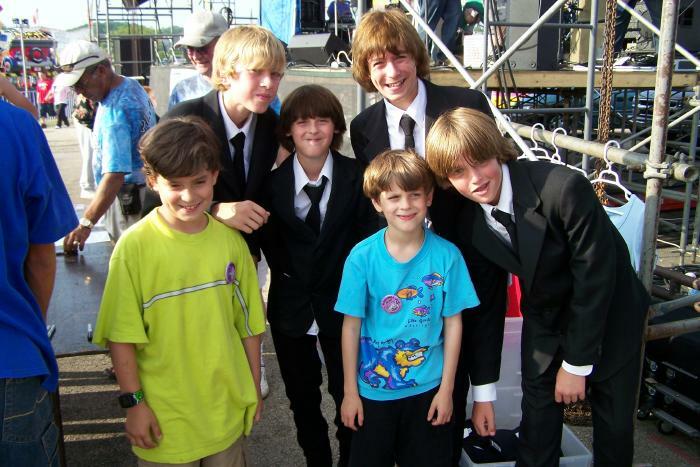 "Sean Lennon, the son of Ono and John Lennon, will be attending the ceremony as well." "Ono’s installation is a beam of light that pays homage to the memory of the late Beatle and world peace," it stated in the report. "A special ceremony will take place tomorrow, October 9, John Lennon’s birthday, during which the beam will be on. It will light up the skies above the island until December 8, the day of Lennon’s assassination. 500,000 prayers for peace have been buried underneath the peace column." Martin Scorsese has signed to make a movie about late Beatle George Harrison. The film, which will be shot later this year and released in cinema's next year, will be produced by Harrison's widow Olivia and feature the guitarist's former bandmates Sir Paul McCartney and Ringo Starr, according to Variety. It will take a documentary format and explore Harrison's faith and music, as well as his movie projects. Scorsese - who has made documentaries about Bob Dylan and the Rolling Stones - says of the project: "(Harrison's) music and his search for spiritual meaning is a story that still resonates today. I'm looking forward to delving deeper. Olivia Harrison says: "It would have given George great joy to know that Martin Scorsese has agreed to tell his story." George Harrison died in 2001 at the age of 58, after losing a battle with lung cancer. © Thomas Crosbie Media, 2007. 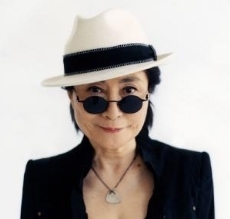 LOS ANGELES (AP) — Yoko Ono will unveil the Imagine Peace Tower in Reykjavik, Iceland, on Oct. 9 — on what would have been husband John Lennon's 67th birthday. Lennon was shot and killed outside their New York City apartment on Dec. 8, 1980. "This is something that we spoke about 40 years ago," Ono told The Associated Press by phone this week before heading for Iceland. "Our dream is finally coming true." The Imagine Peace Tower is a stories-tall beam of light that will emanate from a wishing well bearing the words "imagine peace" in 24 languages. The tower will be lit each year from Oct. 9 to Dec. 8, "so it has the feeling of the shortness of life, but the light is eternal," Ono said. Ono, 74, came up with the concept for the light tower in 1965. Lennon was interested, she said. "He was visualizing then that it would probably become a reality one day," she said. When she turned 70, Ono decided she needed a place to keep the thousands of wishes she had collected through the "wish trees" she had set up at gallery shows around the world. "I was collecting the wishes for world peace, of course," she said. "I thought: `I have to put them in a tower or something ... a peace tower.'" With that, she set out to make her conceptual light sculpture a reality. Engineers from Iceland and Japan worked from her design to build a 55-foot platform beneath a 6 1/2-foot-tall wishing well that houses nine spotlights. The tower sits on the coast of the Island of Vioey. Ono said she chose Iceland "because it is a very eco-friendly country" that relies on geothermal energy. "It's so beautiful," she said. "There's a certain strangeness to it. I would like to say it's magical." The wishes Ono has collected — about 495,000 so far — will be buried in "capsules" around the tower, each topped with a tree. "Eventually it will be like a forest," she said. Wishes can be submitted by mail or through the Imagine Peace Web site. "This is the biggest birthday present I gave to John," Ono said. "He's very, very happy about it, I know." © Associated Press, all rights reserved. LONDON (Reuters) - Former Beatles Paul McCartney and Ringo Starr are coming home to celebrate Liverpool's year as European Capital of Culture in 2008. McCartney is headlining a concert at Anfield Stadium, home of Liverpool Football Club, while Starr is joining forces with Eurythmics member Dave Stewart for "Liverpool The Musical." "It's going to be a great year," McCartney promised in a statement on Thursday detailing plans for the northern English city's cultural bonanza. 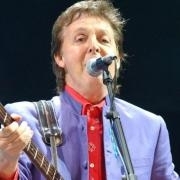 "I'm very proud of the city and I look forward to welcoming you all and showing you a good time," McCartney said. He is headlining next June's concert which will be broadcast live to a worldwide audience. The full line-up is to be announced later. The Liverpool musical was described as "Stravinsky meets Hip Hop" with an eclectic cast ranging from Ringo Starr to the Royal Liverpool Philharmonic Orchestra. 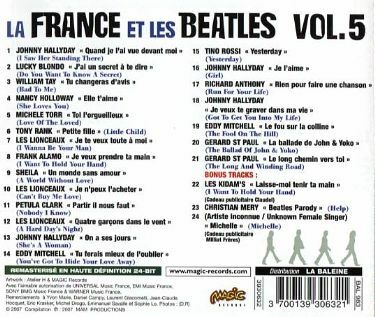 Magic Records releases Volume 5 of "La France et les Beatles"
- exclusively sung in French (instrumental versions and english covers by some French artists were simply discarded). Each track has been carefully remastered in 24 bits from the best available sources. In a few rare instances, the tapes being no longer available, the remastering process was realized from the vinyl record itself (e.g. : the Blue Notes covers appearing on volumes 1 & 2). Finally, thanks to its exceptional variety, this nearly complete collection will undoubtedly appeal to both beginners and long time specialists. The formers may discover a whole new world they never suspected before. The others will be glad to find all those cover versions gathered in one place, some of them being really sought after these days. 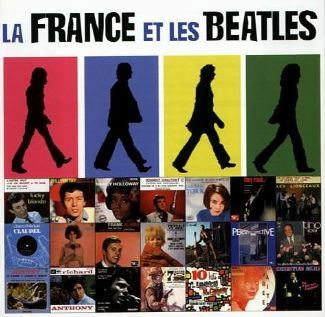 "La France et les Beatles Vol. 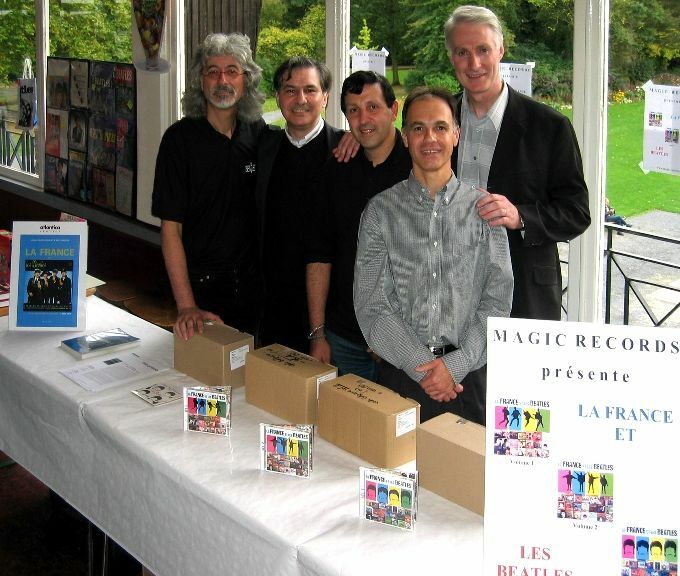 5"
Note: Magic Records compilation series is done in association with Universal Music France, EMI Music France, and Sony BMG Music France. STOP WORRYING...HELP! IS ON THE WAY! Apple Corps Ltd have announced the eagerly anticipated DVD release of The Beatles’ second feature film ‘Help!’ on October 30th (October 29th ROW) which will be marketed and distributed by EMI Music. Directed by Richard Lester, who also directed the band’s debut feature film ‘A Hard Days Night’, ‘Help!’ made its theatrical debut in 1965. The story follows The Beatles as they become passive recipients of an outside plot that revolves around Ringo's possession of a sacrificial ring, which he cannot remove from his finger. As a result, he and his bandmates John, Paul and George are chased from London to the Austrian Alps and the Bahamas by religious cult members, a mad scientist and the London police. 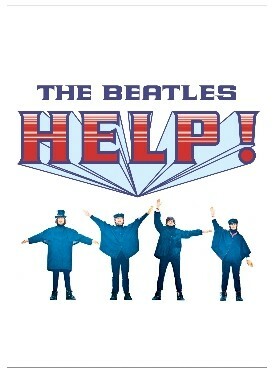 • The Beatles in Help! – 30 minute documentary about the making of the film with Richard Lester, the cast and crew. Includes exclusive behind the scenes footage of The Beatles on set. • The Restoration of Help! – An in depth look at the restoration process. • Theatrical Trailers – 2 US trailers and 1 Spanish trailer. • 1965 US Radio Spots - Hidden in disc menus. There will be 2 editions of the DVD - a standard digipack and a deluxe boxed set that will contain a reproduction of Richard Lester’s original annotated script, 8 lobby cards and a poster, plus a 60-page book with rarely seen photographs and production notes from the movie. Both the deluxe book and the standard booklet feature an introduction by Richard Lester and an appreciation by Martin Scorsese. 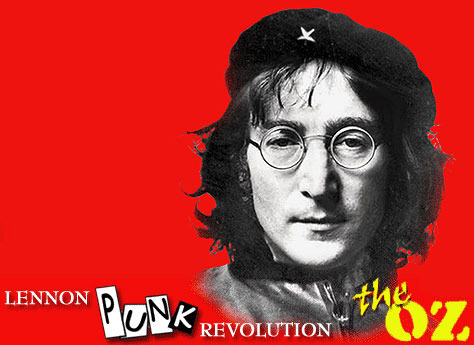 "Punk-Opera Serve Yourself or Lennon in the Revolutions", coincides with what would be the 67th birthday of John Lennon. 6 reprises of politically intense interviews with John Lennon mixed with a string-instrumental version of the song "Serve Yourself". The Oz stresses that this is not your ordinary cover album. "The main idea for the album is to show a life of a man through the songs, words and life of John," says Igor Salnikov of The Oz. "The sound is made 'a little' more aggressive than John used to do, but still the songs have the same melodic beauty and power. The goal was to understand all sorts of 'revolutions' that John Lennon experienced during his life, just as a regular human being and to put them into the realities of the present world. We try to show a little different understanding of John Lennon and really hope that people will see what we mean." Fans are also invited to listen to selected songs from the album at http://www.myspace.com/dotheozrussia including versions of rare songs like 'Now and then' and 'Serve yourself'. Three music videos, 'God', 'Serve yourself' and 'Jealous Guy' are also available online at http://www.youtube.com/vvs49. St. Petersburg and Moscow clubs and festivals. Leslie Woodhead visits Ottawa in the search for material for his latest project: “How the Beatles rocked the Kremlin"
www.lesliewoodhead.com - serious people insist that the Fab 4 played an important part in the collapse of Communism. 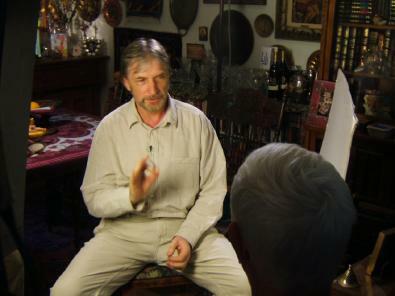 "My interest in the Beatles/USSR film stems from the fact that as a very young TV researcher in 1962, I worked on the first ever Beatles film - a 3 minute black and white fragment in the Cavern of the pre-Fab 4 doing "Some other guy". The rest, as they say, is history..."
-- Leslie Woodhead in an e-mail correspondence to John Whelan, February 6, 2007.
headlined by Yoko Ono. See review and pics. Tonight on Larry King Live! 2 Beatles, 2 Beatle wives, 1 Guy Laliberte on the 1st anniversary of "Love," from Las Vegas.